I've heard these sort of ads called "ego listings". Their good for the sellers ego, but don't reflect reality. Last edited by A8ked; 02-03-2019 at 10:43 PM. The mileage is super low, perhaps too low, but $29,500?? Plus, it's in Hawaii, which means another $2,000+ to ship it to the mainland. If he doesn't lower his price, he's going to be waiting until the year 29,500 before he sells that. Living in Hawaii has the tendency to make you lose touch with reality. That's a heck of a special ordered Box S. Is the 080 suspension 50 better than the M030? Hey BoxMann, what are you doing looking at HI CL? I know I scan all 4 corners of the US but I'm centrally located. You couldn't be further from HI unless you were in Boston. Actually, I'm not familiar with what the 080 suspension even is. And no, I don't scan the HI CL listings. But I do use DailyLister which scans CL nationally, and I stumbled upon this one. I'm looking eastern half of the U.S., the closer to my area, the better. And I couldn't be from Boston, I'm a Yankee fan. And it's only a vinyl interior not full leather. Would have to be much bigger drop with that fact for me. I would have to assume you also have a vinyl interior. In the blink of an eye they suddenly become valuable. Wonder what that makes my LE worth? $120? Would be one thing if he made a typo in the title, but to make it twice is a pattern. The only reason I'm selling is because I'm trading up. Good luck w/.... errr... NOT! My favorite reason for selling? "I'm selling because it was purchased without proper consent of a loving wife. Apparently, do whatever the f*** you want doesn't mean what I thought!" Burg - I too chuckled about the "All Cash Full Payment". First of all, you could never get that kind of scratch out of a bank. Even IF you could, you'd have at least 20 Feds talking into their sleeves and following you in black Suburbans. When I first saw the headline, I figured he'd accidentally added an extra 0. It happens. But when you type it a 2nd time and even insert the comma in the number, it wasn't a mistake. My dad liked to say you can always come down on your price, but you can't go up. This one is taking that advice to the extreme. I was saying that tongue-in-cheek. Well . . . you know how those South Beach people can be -- all full of themselves. And I thought the guy in Hawaii asking $29,500 needed his head examined . 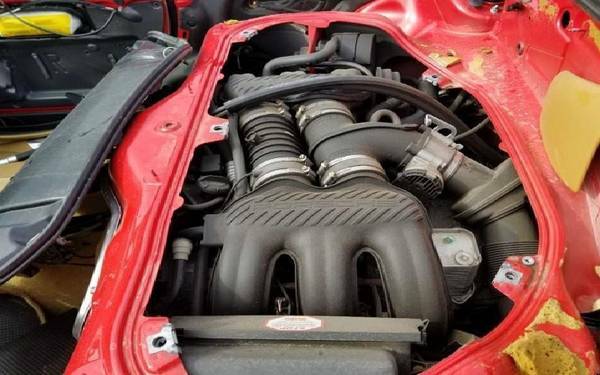 . .
https://tucson.craigslist.org/cto/d/tempe-2002-porsche-boxster/6814706713.html No money, no space for this. Wow! Shame it's a tip... i'd be all over that. Probably gone by now but maybe not. Seems like a great buy. Is there a way to in-see that?